The War Medal 1939-45 and the Canadian Volunteer Service Medal. Richard prior to enlistment had worked in construction, in a creamery, in farming, was a truck driver and had been sailing on the Great Lakes for 9 ½ years. Richard enjoyed bowling, softball, dancing, going to the movies and playing cards. When Richard first enlisted he was residing on Trafalgar Street in Goderich. He first enlisted on December 30, 1942 at London for Home Defence Duties under the National Resources Mobilization Act of 1940. The Act was the response of the Canadian Government in response to the demands of Canadians for a more effective Canadian war effort. This Act enabled the Government to requisition property and services of Canadians for the Home defence of Canada. The Prime Minister promised there would be no conscription but in August of 1942 this was reversed following the national plebiscite of April 1942. This now allowed the Government to send conscripts overseas in addition to troops from the Canadian Active Service Forces. This seemed to appease the conscriptionists with out antagonizing the anti-conscriptionists. From 1940-1944 60,000 NRMA soldiers volunteered for general service and several thousand more were sent overseas. While serving with the Home Defence Forces he was with the #1 Canadian Infantry Depot from December 30, 1942 – June 7, 1943, with the Oxford Rifles from June 7, 1943 – June 16, 1943 and then with the Winnipeg Grenadiers from June 16, 1943 – April 4, 1944. On July 12, 1943, he proceeds on Special Duty to Kiska Island which was part of the Aleutian Islands of Alaska. In June 1942, the Japanese attacked Kiska and Attu Islands of the Aleutains with the hope of drawing part of the American Pacific Fleet away from the Central Pacific. The Americans were not intimidated or drawn into moving north-west towards the Aleutians. As a result, during the Battle of Midway, four front line Japanese carriers were sunk. That same day the Japanese attacked Dutch Harbour. The Allied forces began counter attacking on June 6th. These islands were remote, barren, mountainous plus the Allies had to deal with constant fog and unpredictable winds. The Japanese were not a threat to Alaska or to British Columbia but the public wanted an expeditionary force to deal with the Japanese threat. In March of 1943 American forces eliminated the Japanese threat on Attu. Until the Japanese threat in the Aleutions was completed much needed resources from other army, navy and air force fronts. The Canadian Army was now brought in on the Kiska project. The Americans wanted the Canadians to participate and they agreed that Canada would provide a Brigade group to assist in the attack on Kiska. The decision was made to use the Headquarters of the 13th Canadian Infantry Brigade which included the Canadian Fusiliers, the Winnipeg Grenadiers and the Rocky Mountain Rangers. They trained at Nanaimo and at Courtenay. They had weapons and tactical training, amphibious training with assault craft, training for the organization of beached including the loading and unloading of vehicles. The Canadian Kiska force began their embarkation from Canada on July 12, 1943 on board four American Transports and arrived in Amchitka on July 21st. On August 13, 1943, 5,300 Canadians set sail from Adak bound for Kiska. However, by the time they arrived the Japanese it was found had evacuated the island on August 15th. When Allied aircraft flew over the island and met no anti aircraft fire the Canadians were told they were in for a long fight as the Japanese had moved inland. Their upcoming losses were estimated at 30%. Throughout Canada, the public had animosity toward the men of the National Resources Mobilization Act because they felt these men were using this as a way not to go overseas and fight. The 13th Canadian Infantry Brigade remained on Kiska remained there for an additional three months until mid to late November. While there they lived in “winterized tents”, built road and piers, transport fatigues, building and manning the defences and trained as conditions permitted. The weather of fog, rain and wind made the island very uncomfortable. In late November of 1943 our Canadians began moving back to British Columbia with the last of the Canadians leaving Kiska on January 12, 1944. Private Young returned to Canada on January 3, 1944. District Depot. On April 4, 1944, Private Young enlisted at Gordon Head – British Columbia into the Canadian Army Active Forces. On the same day, he is granted Embarkation Leave and attached to #1 District Depot. Here he learned about rifles, Bren guns, grenades, the PIAT and other small arms. His Leave would have brought him to Goderich on his way to Halifax prior to going overseas. Private Young embarked from Halifax Harbour and Canada on May 26, 1944 arriving in the United Kingdom on June 2, 1944. On August 4th, he is Taken on Strength by the Winnipeg Grenadiers and three days later he is Taken on Strength by the Calgary Highlanders. Private Young leaves England bound for the continent on January 8, 1945 and arrives at his unit in the field on January 19, 1945. Following him joining his regiment in the filed he would have participated in the Battle of the Hochwald Forest before his final fight at the Nijmegen – Kleve Road, into the woods of the Reichswald were and the Hochwald Gap in the Hochwald Forest Ridge. The Canadians had 90,000 men against 10,000 Germans, 1,300 artillery pieces and 1,000 tanks. The Germans had a handful of tanks. The Canadian losses in this fight were 3X what they were in Normandy. The German defenders had the edge here as they knew the terrain and set up tank traps one after the other. The Canadian Sherman tanks were no match for the Panzers or Tigers unless a lucky shot pierced their armour. Operation Blockbuster was an attempt to push the enemy ever deeper back into Germany but thress things were against the Canadians. Firstly, the weather – it had begun raining in the early spring and the terrain in the open Rhineland was an impossible, oatmeal kind of think gooey mud. Secondly, the small dams the Germans had built were destroyed flooding the farmland. Lastly, the enemy had prepared the battlefield to their advantage by digging deep tank traps, mine fields and leaving only a narrow route for the Tanks of the 2nd Division to move through. These areas were surrounded by enemy guns and tanks. On February 26th, the Canadians began their advance with an artillery barrage as the Canadians were bogged down in the “Kill zones” and 8,000 Canadians were killed in the first two weeks. The Sherman tanks were decimated. The Canadian advanced could only be measured by the 100s of yards. The initial blow of Blockbuster would fall to the 2nd Canadian Division with their objectives being to take the plateau just south of Calcar. 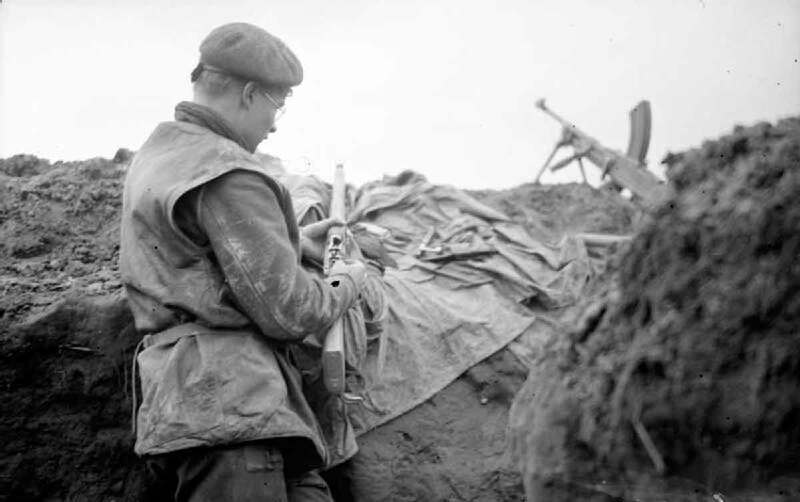 On the night of March 25th, the 2nd Division began to assemble in the muddy field south-west of Calcar. The enemy knew this was the only area from which an advance could take place and as such their artillery pounded this area. The 5th Brigade and the Calgary Highlanders on the night of February 26th were supposed to move through the Hochwald Forest and outflank the enemy defences but were unable to and had to move during the morning of March 27tt. The 4th Canadian Armoured Division was to advance across open country overlooked by a ridge the high ground would have to be occupied. The 5th Brigade on the morning of March 27th were left and were making slow progress because of strong enemy resistance. 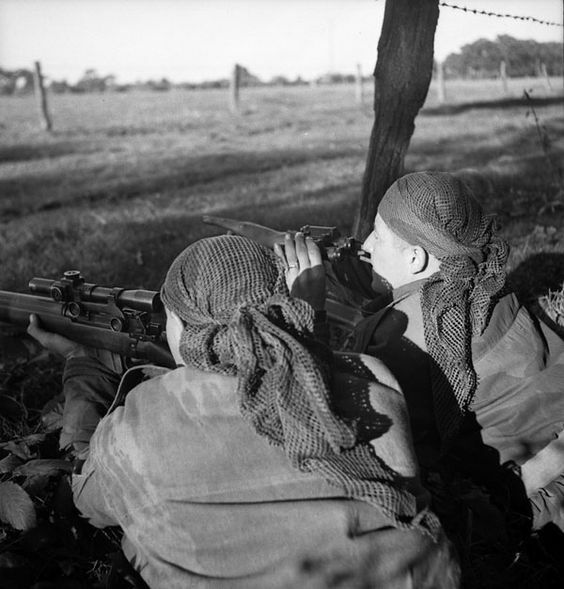 Their objective was to clear a fringe of woods a mile south-west of Calcar and to secure the flank of the 6th Brigade which had been sent in as support by capturing commanding positions astride the road to Goch. As the morning progressed the Calgary Highlanders had begun to master the enemy defences and had reached an assortment of building at Schmachdarm on the edge of the forest 3,000 yards north of the railway. All during the morning they had experienced heavy artillery and mortar fire from the enemy defenders. a) The weather on this day was cloudy and warm. “A & C” Companies at 4 am began to move down the axis as the advanced contact role. As “A” Company advanced the enemy opposition increased. Advancing became very difficult as the German artillery and mortar fire was now being directed onto them. 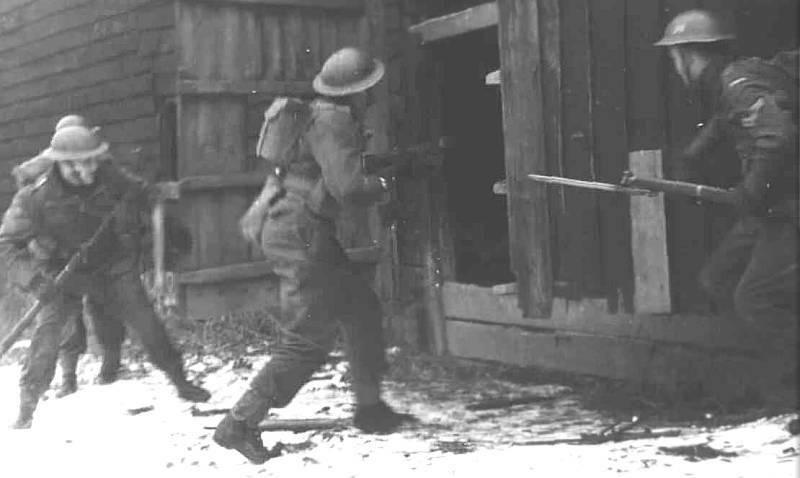 At mid morning “C” Company was able to reach their objective on the edge of the Hochwald and now the German resistance was extreme and very heavy artillery and mortar fire began to fall on them. Later in the afternoon both “A & C” Companies were both pinned down by the fierce enemy resistance, but by nightfall all Companies were at their objectives. They were now expecting heavy enemy counter attacks during the night of February 27/28 but no counter attacks materialized, even when they were shelled all night by enemy artillery and mortars. Late in the night of February 27th the Calgarians received their first hot food in 24 hours. 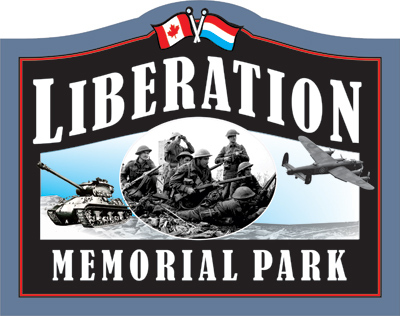 b) During the advance of February 27th, Private Young had received very serious and eventually fatal abdominal wounds that would claim his life on April 2, 1945.
c) Following the death of Private Young, he was originally buried in Bedburg Canadian Cemetery in Row 2 and Grave 2. His family received a letter from the Major General at the Adjutant General expressing the condolences and sympathies of the Canadian Government. On August 14, 1946, the remains of Private Young were moved to Groesbeek Canadian Military Cemetery where he now rests. The family received a letter with a photo of his grave enclosed. His personal effect that were sent to his family in Goderich included a cap bade of the Calgary Highlanders, a Parker pencil, a cigarette lighter, a leather wallet, steel mirrors, letters, a souvenir American dollar bill, souvenir coins, a red “I” disc and photos. 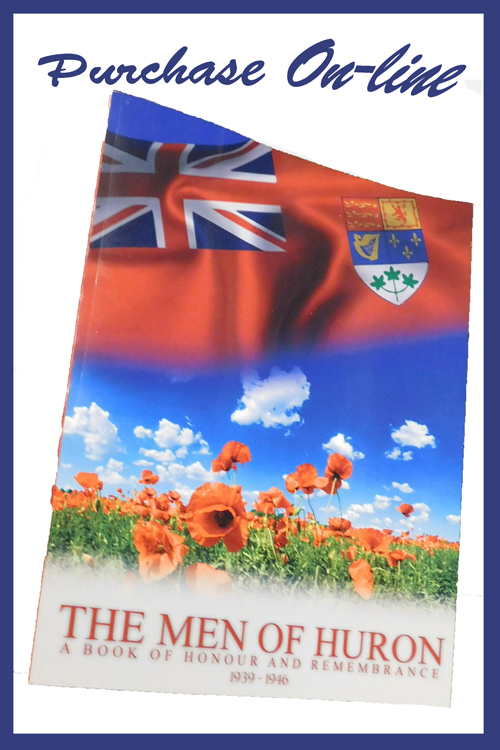 Richard had $11.84 with the Bank of Montreal in Goderich and received the War Service Gratuity of $275.07 plus his final pay of $75.38. This was passed along to his step mother Viola.